Factory original paint colors tend to bring back a sense of nostalgia for the good old days. Many older vehicles or specific motorcycles are easily recognizable because of their distinct paint job. We tend to see factory original paint be of importance to those driving old trucks, as well as motorcycles. Many older farm trucks have the two-toned design, and are very recognizable with their specific colors. 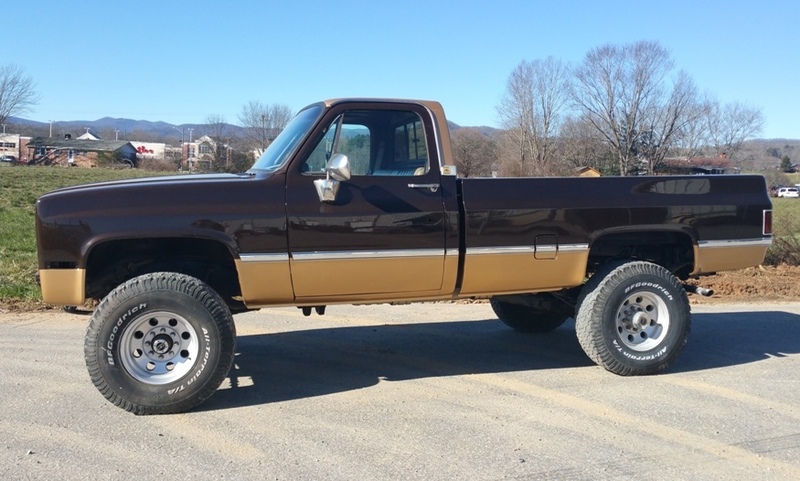 Owners like the appeal of driving a truck that looks just as it did back in the day, but is also new enough that the color shines and the body lines of the truck are perfect. Many of these older trucks that come in for restorations and new paint get painted back to their factory original colors. This truck got painted a dark brown, two-toned with gold on the bottom of the truck, as well as the top of the roof. After Pic – Perfect Paint Job! We also see a lot of people who want to keep their motorcycle parts as original as possible. Sometimes the distinct colors and paint scheme are what give the bike it’s appeal. 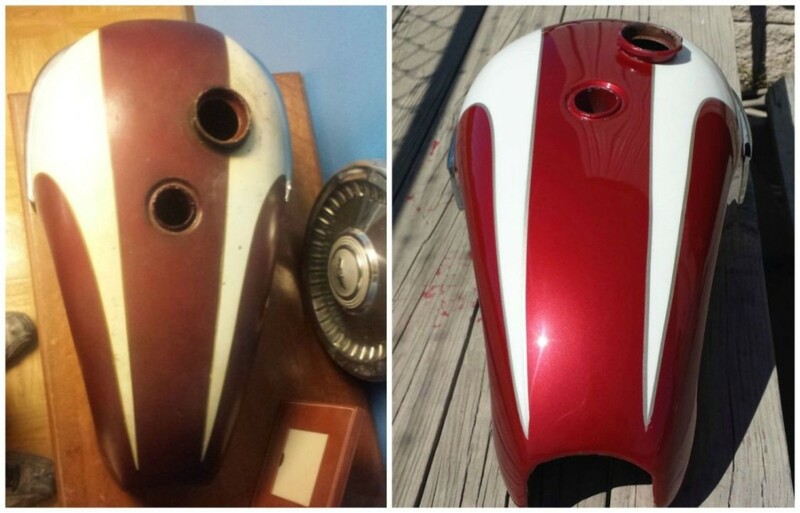 Many motorcycle owners will want to stick with their original design and coloring. If the factory original paint scheme has faded from the sun or gotten damaged, we can recreate the look using exact color matching and design. The following motorcycle tank was brought in to us. The customer wanted the exact same paint job the motorcycle had years ago. As you can see from the Before picture, this tank had become very faded. We found the exact color and replicated the design. Now the motorcycle looks as new as the day it rolled out of the factory! Choosing the paint job that is right for you depends on your personal preference and style. It also has a lot to do with the specific vehicle or motorcycle you are painting. If you love your car or truck specifically how it looked when it was first created, a factory original paint job may be your preference. It’ll have a brand new paint job on it, but it will bring back all the old memories you have from when you first drove it. We have lots of customers who choose this option. Others who may not be holding on to the nostalgia that comes with the classic, original paint job may opt for an entirely new, custom paint scheme. In your opinion, what is the most recognizable factory original paint scheme? Leave us a comment below! TD Customs is a custom auto body and paint shop. We specialize in classic restorations and specialty paint jobs. We’re located in Mills River, just down the road from the Asheville Airport. We serve all surrounding areas, and are happy to work with those who do not live locally. Whether you want your truck painted back to the factory-original colors you remember from years ago, or are looking for a completely new, custom paint job, contact us to discuss how we can help. No Replies to "Back to Factory Original Paint Colors"